A faculty member and a student from the University of Georgia College of Engineering received two of the top honors at the annual Georgia Engineering Awards ceremony Feb. 23 in Atlanta. Alex Blankenship, a senior civil engineering student (pictured above), was named Engineering Student of the Year while Ernest “Bill” Tollner (pictured at left), a professor, was named Engineer of the Year in Education. The Georgia Engineering Awards are presented by the American Council of Engineering Companies of Georgia (ACEC Georgia). 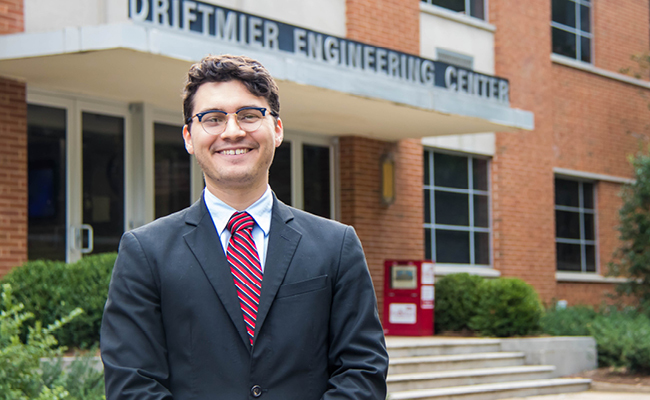 As president of UGA’s ASCE student chapter, Blankenship has worked to increase the organization’s participation in ASCE-sponsored conferences, competitions and service activities. Tollner has been a member of the UGA faculty since December 1980. 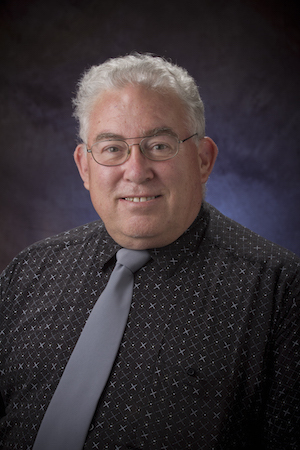 A professor of biological and agricultural engineering, his teaching and research interests include management of runoff and nonpoint source pollution in agriculture and urban settings. “I am both humbled and grateful that my body of work has gained this recognition from peers in academia and in practice,” said Tollner. Last year, Tollner and his wife, Caren, established the Dire Needs Project Award Fund in the College of Engineering. The endowment funds outstanding student research and outreach projects designed to make a lasting impact on the dire needs of people outside the United States. The Georgia Engineering Awards is hosted by the American Council of Engineering Companies of Georgia and the Georgia Society of Professional Engineers (GSPE), with the support of the nine other associations that comprise the Georgia Engineering Alliance: American Society of Civil Engineers – Georgia Section, American Society of Highway Engineers – Georgia Chapter, Georgia Engineering Foundation, Institute of Transportation Engineers – Georgia Section, Intelligent Transportation Society of Georgia, Society of American Military Engineers – Atlanta Post, Society for Marketing Professional Services – Atlanta, Structural Engineers Association of Georgia and the Women’s Transportation Seminar – Atlanta Chapter.